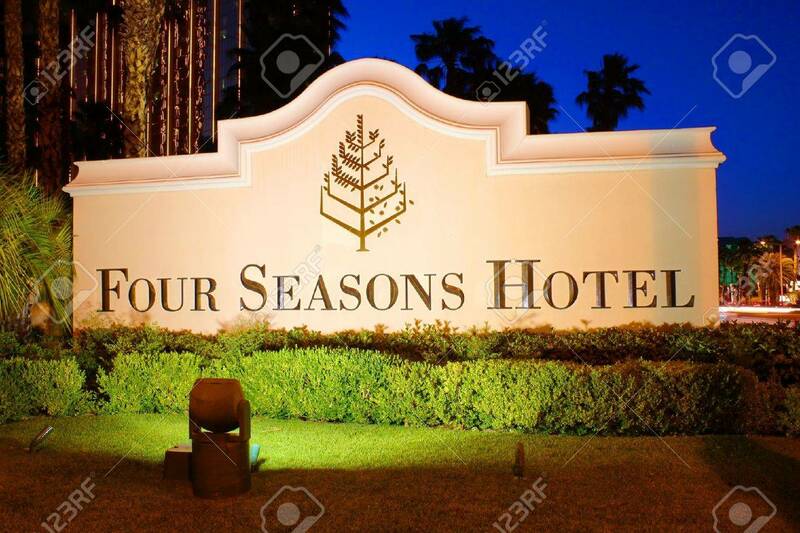 Las Vegas, USA - May 23, 2012: The Four Seasons Hotel Sign In.. Stock Photo, Picture And Royalty Free Image. Image 19170797. Stock Photo - Las Vegas, USA - May 23, 2012: The Four Seasons Hotel sign in Las Vegas, Nevada. The Four Seasons operates on the top floors of THEhotel building and opened in 1999. Las Vegas, USA - May 23, 2012: The Four Seasons Hotel sign in Las Vegas, Nevada. The Four Seasons operates on the top floors of THEhotel building and opened in 1999.